The beauty of guest posts is that you can leverage the traffic from the blog you posting on and direct some of that traffic over to your site. This looks like an interesting plugin to create a review archive on your blog. I would have liked to see some screenshots and a bit more information on how it works in the repository to tempt me to install it and play. suits your needs, thats ok, it can be created! Themes are available on the King Pro Plugins website. you create. Rest assured that if you need to change these details as a one-off, you can! Define your own columns for the invoice, no matter the theme/template/design. operators. Finally assigning what column will calculate the subtotal column will find you on your way to creating and sending your invoices. the dropdown and click the insert button which will populate all the client fields that the theme uses. 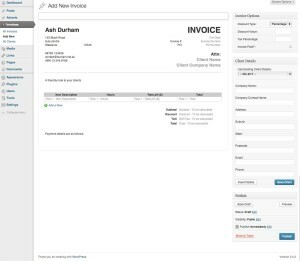 have a dynamic invoicing email system at your finger tips! 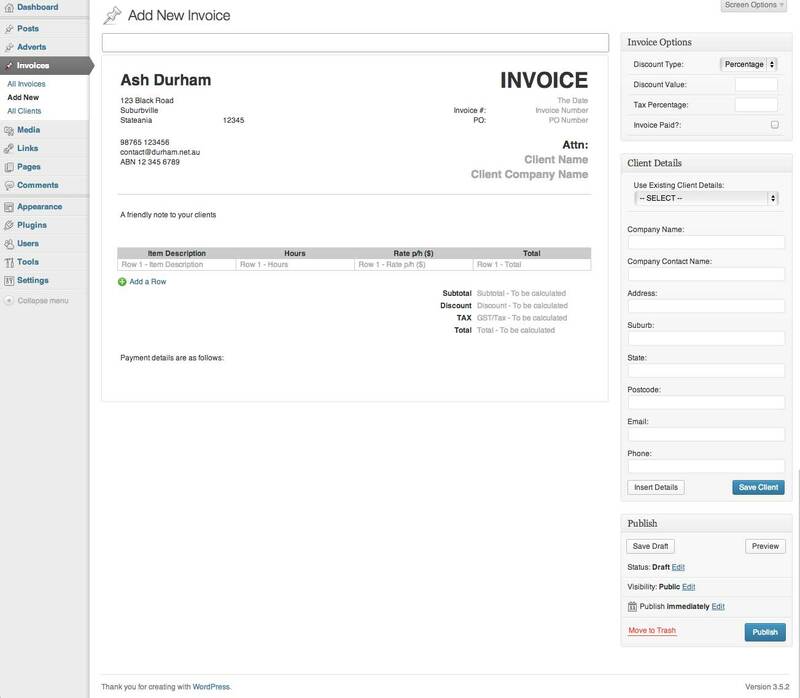 from the system with the invoice set to paid will send the paid message that you can also modify. If you have any suggestions or would like to see a feature in the plugin, please let me know in the support forum. Any issues you are having, I’d also love to know, so again, please let me know using the support forum. websites and the Anthologize WordPress plugin. SimBraille in the page, or the ASCII sequences used when embossing on paper. plugin. You may select BRL or SimBraille output. display in a visual interface. with the necessary software installed and configured. Click on the plugin to go to the configuration screen. Select “Local” or “Remote” LibLouis. remote service URL is configured. translation for Anthologize, you do not need to select anything here. QR Code Plugin – this plugin is currently free. You can use it to creat QR codes quickly and easily. Useful for ecommerce store owners and offliners. SMS Point System Plugin – this plugin allows you to send an sms message to contacts which enrols them in an incentive based reward system. Customers earn “points” for transactions. The plugin uses Twilio for the SMS. What I do like about the plugin is if you are an offliner, you client s can use this system and you can resell the service to them. Management is all taken care of via an admin panel and you collect the monthly fee.